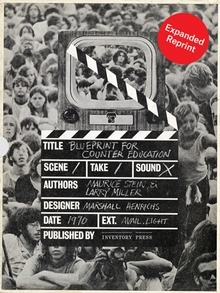 In 1970, Doubleday published Maurice R. Stein and Larry Miller’s radical Blueprint for Counter Education, a boxed set containing a book and three fold-out posters that provide a roadmap (but never a syllabus!) to redefine contemporary pedagogy, foregrounded by the philosophies of Marshall McLuhan and Herbert Marcuse. This spring, Inventory Press came out with a facsimile reprint expanded by one volume of new writing. In honor of returning students and educators everywhere, Madeline Weisburg spoke with Adam Michaels and Shannon Harvey—publishers of this truly wonderful new edition—about the remaking of a counterculture classic. MADELINE WEISBURG: Can you tell me a little about the genesis of this project? How did you first learn about Blueprint for Counter Education and when was the first time you saw it in person? ADAM MICHAELS: This all started some years ago, when Jeffrey Schnapp and I were gathering materials for The Electric Information Age Book: McLuhan/Agel/Fiore and the Experimental Paperback. We had been digging deep for strong examples of experimental design and editing within mass market paperbacks; this led us to Ira Einhorn’s truly unusual 78-187880, published by Doubleday. 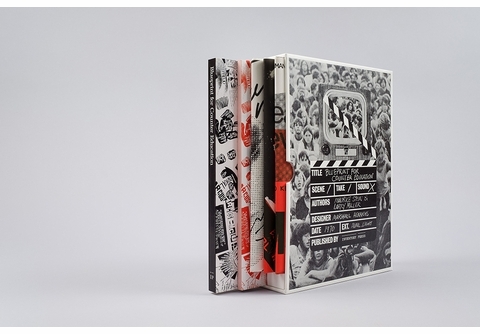 Taking note of that book's designer, Marshall Henrichs, led us to his other significant counter-culture design project, the larger (too large in format for full TEIAB coverage) and far more elaborate Blueprint for Counter Education. At that time it wasn't too difficult to purchase an affordable original copy of Blueprint. online. 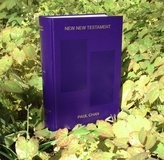 Upon receiving my copy I remember being completely blown away by the overall format (the three giant posters and book went well beyond my expectations for the object), as well as the particulars of the publication's unique approach to form and content. It became quickly apparent that Blueprint warranted deeper engagement, though it took a couple of years to determine that the expanded reprint was our preferred course of action. It definitely became a factor that used original copies had become scarce, and we really wanted to share the physical object with a wider audience. The reprint project started to really move when we discovered that editors Maurice Stein and Larry Miller and designer Marshall Henrichs lived relatively close to Jeffrey’s home in Cambridge; this led to a series of informative and enjoyable conversations, as well as the discovery of an enlightening set of archival materials in Maurice and Phyllis Stein's attic. ABOVE: “If you don’t start doing, you might as well stop!!!! Or, alternately, since you are doing, if you don’t start noticing what you are doing, you will never start!!!! !” Close up from Blueprint Shooting Script. MW: Blueprint has a fascinating publication history. Why did a large, mainstream publisher like Doubleday decide to take a chance on this unruly object? SHANNON HARVEY: Blueprint came to be thanks to a unique set of publishing circumstances in the 1960s, an era of increased crossover between mass and intellectual culture which on occasion provided running room for the widespread distribution of serious experimentation. 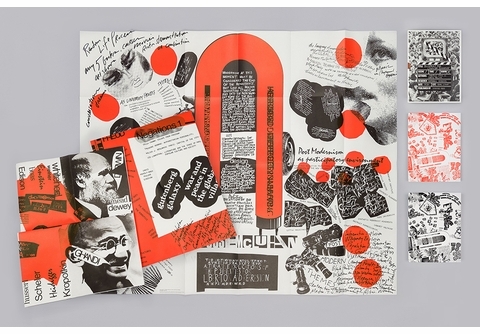 Pike Johnson, a culturally aware editor at Doubleday (who was conscious of how well Marshall McLuhan and Herbert Marcuse had been selling), brought the project in based on Maurice Stein and Larry Miller’s hand-rendered Blueprint scroll. His acceptance of the project was conditional on Stein and Miller working with a professional book designer. Quentin Fiore, occasional freelancer for Doubleday and designer of The Medium is the Massage was considered, though he was too busy at the time. Marshall Henrichs was approached next as someone with the right energy for the project. Henrichs' collaboration proved fortuitous; he was thrilled for the opportunity to go beyond the norms of the more classical commissions he usually received, and his inside knowledge of Doubleday’s production flows was crucial for to the production of such a unique object. MW: In addition to publishing books on art, design and architecture through Inventory Press, you also are designers at Project Projects. 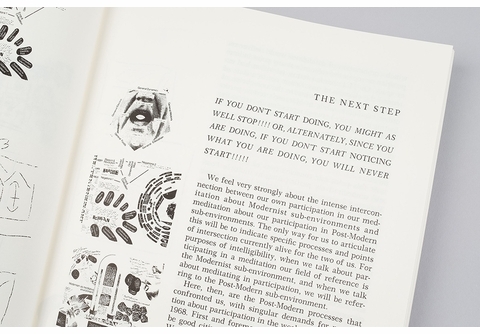 Can you describe the legacy of Blueprint for graphic designers? AM: Blueprint reached me at an ideal nexus of my interests, closely relating to the expanded approach to design that Project Projects has tried to enact since we started up in 2004. Inventory Press has been a wonderful outgrowth from the studio, allowing for the creation of situations where nuanced, experimental design and content have an often ideal space to come together. In terms of graphic design, the thing that is so uncanny about Blueprint is how it appears both entirely of, yet far beyond, its historical moment. This may be partially because, until recently, Blueprint had somehow remained undetected by official accounts of design history. It’s hard to say why, given the publication's exceptional graphic qualities, substantial print run, and large-scale publisher—though perhaps that’s exactly the problem, that recognition was difficult to find due to the project's deliberate resistance to tidy categorization (not quite underground, not quite overground; too hip for squares, too square for hippies). To us, Blueprint's reemergence helps fill a significant gap in design history (one that's also explored wonderfully in Andrew Blauvelt's recent Hippie Modernism exhibition and book), while putting forth multiple models for future, intellectually-engaged design activity. 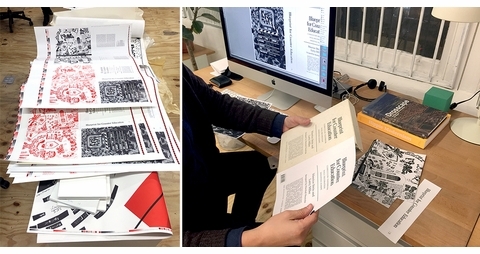 ABOVE: Press tests and design process, Project Projects, New York, 2016. MW: In terms of production how is reprinting historical material different than your previous publishing endeavors? What was it like to work so closely with the original authors? AM: Compared to a typical, starting-from-scratch book project, the print production process was simultaneously simpler (having an existing model to match) and far more grueling (attempting to match that existing model extremely closely). Each step contained a great deal of complexity, from figuring out how and where to shoot exceptionally large, printable high-res images of the posters; producing color separations corresponding with the original black and red plates (the reprinted posters overprint the two inks as in the originals); finding just the right paper type and weight for each piece; finding a printer with a large enough press to print the posters at original scale (more challenging than anticipated); dealing with any number of small hiccups along the way; finding funding for all of this in the first place; keeping costs in check to maintain the reprint's low retail price; etc. In other words, it was an intense process, but I'm truly thrilled with how well each piece turned out. 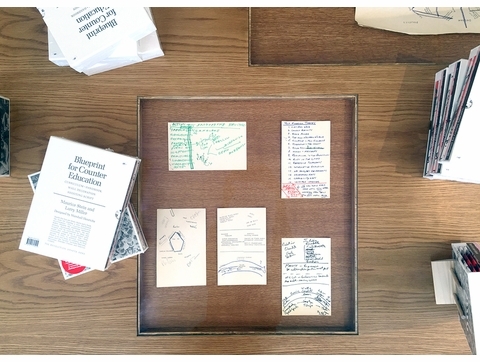 ABOVE: Original 'Blueprint' notecards, as displayed at Carpenter Center for the Visual Arts, Harvard University, Cambridge, MA, 2016. MW: In the new edition you include a great essay by Jeffrey T. Schnapp, which charts the metamorphosis of Blueprint from marks on a chalkboard to index cards to its final format as “wall decorations.” I like thinking about the function of posters as both a medium and a distribution method, especially in the context of late 1960s underground visual culture. I’m thinking protest ephemera, music posters and such. It’s actually very McLuhan! Why did Stein and Miller ultimately choose posters? SH: The blueprint format originated from the visual mapping Stein would conduct on blackboards while teaching. It was Larry Miller, Maurice Stein’s student at the time, who initially took on the task of translating some of these blackboard scrawls to a more portable format. Before the finished form of the book was determined, these charts were reproduced as actual blueprints and circulated among students, who were encouraged to edit, re-draw and develop new charts on their own. The blueprint reproduction technology was a practical solution (they were relatively low-cost and easily produced in the Brandeis Geography department), but also a metaphor for the project. Stein and Miller wanted the book to do what a blueprint does: it provides you with a basis for modeling, fabricating and building, suggesting a process more than a product. It allows a viewer to see everything in relationship, as a dynamic whole. Although there were inevitably some things lost in the transformation from blackboards to charts to blueprints to the final result, much was also gained. The attractiveness and pop-sensibility of the finished posters helped distribute their ideas. The posters apparently ended up plastered on numerous dorm room walls and bookstore windows, finding new audiences outside the campus, and even serving as the backdrop of some stimulating cocktail party conversation. ABOVE: Larry Miller. Photo taken during a research and interview session conducted by Jeffrey Schnapp and Adam Michaels with Maurice Stein, Larry Miller and Marshall Henrichs, Harvard University, Cambridge, MA, 2012. MW: Speaking of dorm room walls, can you talk about the brief period in which Blueprint was part of the curriculum for the Critical Studies program at CalArts? SH: In 1970 Maurice Stein was appointed the first Dean of Critical Studies at the California Institute of Arts (with Larry Miller as assistant Dean), where he joined Herbert Blau, Nam June Paik, Allan Kaprow, Mel Powell, Morton Subotnik and Alexander Mackendrick, and was able to implement Blueprint as part of CalArts’ new curriculum. Apparently, at one point the bookstore was even re-organized according to the charts. There’s a great essay by Paul Cronin in our expanded reprint that explains more about the context of CalArts at the time, though in brief, conflicts and scandals began early on in Stein’s time there, capped by his efforts to appoint Herbert Marcuse—a leading figure in the New Left—to his faculty, prompting outrage from Roy Disney and the CalArts Board of Trustees. Stein’s tenure quickly came to an end, but not without leaving a rich trail of coverage and outrage in the student, local and national press. 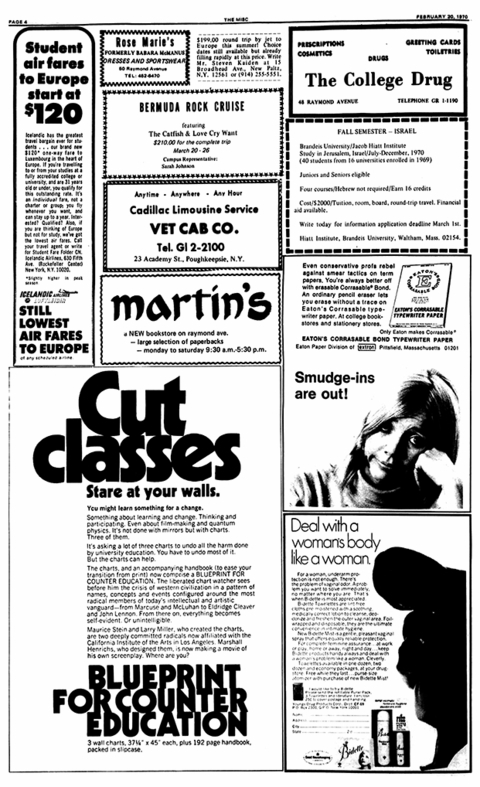 ABOVE: “Cut classes. Stars at your walls. You might learn something for a change.” 'Blueprint' ad as printed in the Vassar student newspaper 'The Misc,' February 20, 1970. MW: The republication of this work is very interesting to think about in the context of the new climate of student activism. How do you think this pedagogical model could be re-envisioned for students today? AM: Blueprint is a useful model for envisioning nonlinear, associative, as well as more visual approaches to conceptualizing and teaching history, theory, etc. The text’s strategy of simultaneously establishing and undermining authority imparts knowledge while expressing limitations of traditional pedagogical approaches. It is interesting to see Blueprint from a contemporary, internet-driven perspective—one could see the posters as a screenshot of just one moment in the circulation of information. The pause provides a rare opportunity for sustained reflection. SH: Through our work on this project we became increasingly aware of the very participatory qualities of large-scale printed objects such as the charts. In addition to capturing a wide variety of adjacencies of thoughts and ideas all in one eyeful (a scale that a typical screen does not allow), the posters also create a mini-event each time they are unfolded. When hung on three walls, they literally create an immersive space for learning. As an education model, Blueprint was created to stimulate its own re-invention, and is ripe for re-envisioning in a twenty-first -century context—one that is admittedly much more "eye-and-ear-oriented” than the book-oriented context where Blueprint originated. ABOVE: 'Blueprint for Counter Education' poster, 1 of 3. MW: Blueprint challenges a lot of disciplinary boundaries not only in terms of its content but also in respect to its form. It is not an artist’s book but it shares characteristics with work by artists who were trying to use mass media in new ways. Did the authors see Blueprint in dialogue with contemporary art production? AM: Both authors were coming from an academic background in sociology, though each had a strong interest in art and design, particularly stemming from their awareness of the educational settings of the Bauhaus and Black Mountain College. 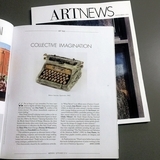 The Blueprint “Shooting Script,” with its reproductions of covers and TOCs of then-contemporaneous publications, basically shows what was crossing their desks at that time, and there are indeed Artforum issues in the mix. Also, notably, Typographica, a British graphic design magazine that was then a rare find in the USA. 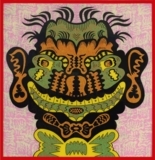 Maury and Larry both cite an exhibition of Eduardo Paolozzi’s unbound, hundred-page Moonstrips Empire News as the strongest direct influence on Blueprint's evolution away from a typical book format. Larry also mentioned Sister Corita Kent’s work as a direct influence, and that he was aware of Fluxus (though this would be strengthened later on, when meeting some of the artists at CalArts). 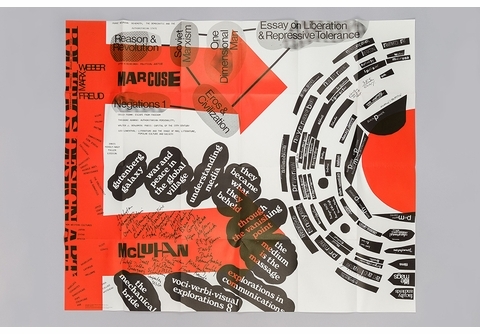 MW: I was surprised to learn that Blueprint was featured in Kynaston McShine’s 'Information' exhibition at MoMA in 1970—the same year it was published. How did this happen? SH: As the CalArts situation devolved, Stein and Miller’s ideas found another venue in the Information show at MoMA. The exhibition’s aim was to scan “an intellectual climate that embraces Marcel Duchamp, Ad Reinhardt, Buckminster Fuller, Marshall McLuhan, the I Ching, the Beatles, Claude Lévi-Strauss, John Cage, Yves Klein, Herbert Marcuse, Ludwig Wittgenstein and theories of information and leisure. Blueprint arrived just in time to be included in the catalogue, and copies of the boxed set were put on sale in the MoMA bookstore—surely gratifying for Stein and Miller. As far as broader art world impact, this is hard to trace. 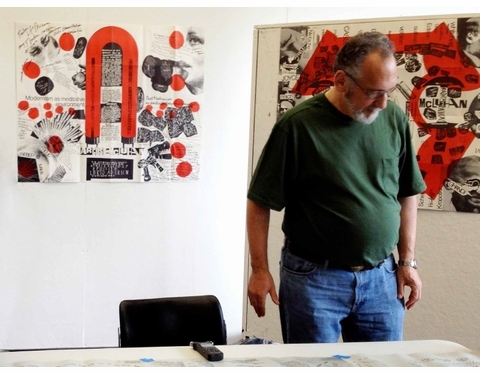 Anecdotally, we’ve heard from a few 1970s CalArts students, some of whom went on to prominent art careers, that Blueprint played a significant role in their education at that time. MW: Are there any radically different approaches to the project that you ended up not taking? AM: At numerous points, particularly when we were uncertain of where to find funding for the full reprint, we considered truncated and reduced-scale formats. We also focused for some time on developing an exhibition on Blueprint, including versions focused on some higher-tech, multimedia elements. However, the end result of these extensive conversations was to highlight how compelling the original object remained, and how it was worth preserving in its original format and entirety, plus the addition of the new second book to provide something of an interpretative guide. One tangent that we are currently working on: using Blueprint as a direct model within an educational (or counter-educational...) setting—ideally one in which we can bring humanities and design students together to build upon the framework of the original publication. Perhaps a new publishing project will come from this process—we'll see! MW: Any upcoming projects that you’d like to mention? SH: After releasing three titles in addition to Blueprint Elephant Child by Camille Henrot, 49 Cities by WORKac and OR by Matt Keegan), we decided to slow things down this year. Spring 2017 looks to be an exciting season, however! 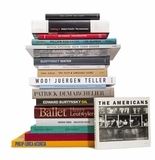 You can check inventorypress.com for details as we announce our upcoming titles. ADAM MICHAELS is co-founder of Project Projects and founder of Inventory Press. As a designer, editor and publisher, his work spans and synthesizes form and content, with a particular focus on book design and typography. Among numerous accolades, Project Projects received the 2015 Cooper-Hewitt National Design Award for Communication Design. Inventory Press publishes books on topics in art, architecture, design and music, with an emphasis on subcultures, minor histories and the sociopolitical aspects of material culture. Michaels is co-author of The Electric Information Age Book: McLuhan/Agel/Fiore and the Experimental Paperback. SHANNON HARVEY is senior associate at Project Projects and managing director of Inventory Press. With a focus on integrating content across media, she leads research, strategy, publication, exhibition, wayfinding and signage projects. Prior to Project Projects she worked at Rockwell Group, Office for Metropolitan Architecture/OMA, Van Alen Institute, and was part of the curatorial team at the Canadian Centre for Architecture. 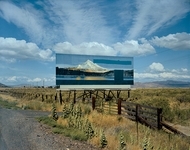 MADELINE WEISBURG is a graduate student in Art History at Columbia University. She has interviewed Walker Art Center senior designer Andrea Hyde, How to Train Your Virgin author Andrea Hyde, Harry Smith catalogue raisonnés editors John Klacsmann & Andrew Lampert and MoMA Librarian David Senior for artbook.com.